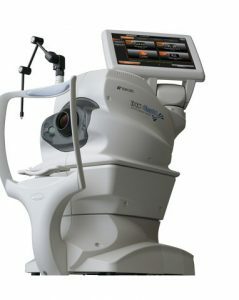 Vani Vision's new Topcon Maestro OCT camera is among the best technology for our patients. The 3D images produced by this state of the art equipment allow for the early detection of eye diseases from deep within the eye. The exam is fast, painless and comprehensive. Using a Topcon state-of-the-art 3D OCT camera, your we take both a digital photograph and a three dimensional cross sectional scan of the back of your eye in one sitting. 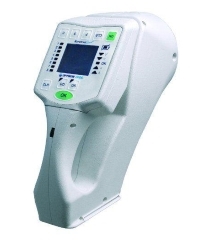 This allows us to instantly diagnose a number of common conditions. 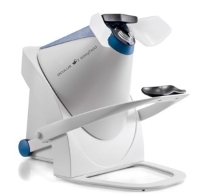 The scan is non-invasive, painless, simple and quick. What’s more, the software can automatically detect even the most subtle changes to the retina with every eye test you take. This gives you an invaluable ongoing record of the health and condition of your eyes. The following eye diseases can be detected and diagnosed; Age-related macular degeneration, Diabetes, Glaucoma, Macular holes, Vitreous detachments. The three-dimensional map is therefore a valuable aid to Dr. Patel and can assist in the diagnosis and treatment of a number of conditions; in planning refractive surgery such as LASIK and evaluation of its results; or in assessing the fit of contact lenses. A development of keratoscopy, corneal topography extends the measurement range from the four points a few millimeters apart that is offered by keratometry to a grid of thousands of points covering the entire cornea. The procedure is carried out in seconds and is completely painless. We use cutting-edge digital imaging technology to assess your eyes. Many eye diseases, if detected at an early stage, can be treated successfully without total loss of vision. Your retinal Images will be stored electronically. This gives Dr. Patel a permanent record of the condition and state of your retina. This is very important in assisting Dr. Patel to detect and measure any changes to your retina each time you get your eyes examined, as many eye conditions, such as glaucoma, diabetic retinopathy and macular degeneration are diagnosed by detecting changes over time. Digital Retinal Imaging allows Dr. Patel to evaluate the health of the back of your eye, the retina. It is critical to confirm the health of the retina, optic nerve and other retinal structures. The digital camera snaps a high-resolution digital picture of your retina. This picture clearly shows the health of your eyes and is used as a baseline to track any changes in your eyes in future eye examinations. After the initial diagnosis the doctor may repeat the visual field test to check for worsening disease. This may be done after 3 to 12 months depending on the outcome of the current test and the severity of the situation. 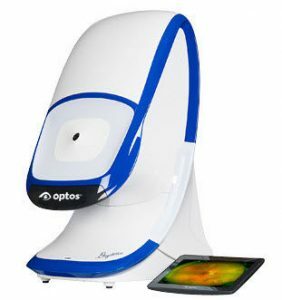 The opportunity for you to view and discuss the optomap® image of your eye with Dr. Patel at the time of your exam. Also ask us about Ortho-K Vision Correction!